We look at trends in the wine world for the upcoming year, get an exclusive look at the 2016 Bordeaux vintage and more. 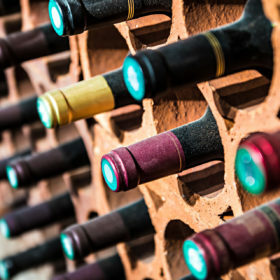 Executive Editor Susan Kostrzewa talks with a sommelier from a famous restaurant and a buyer from a major New York City wine retailer about upcoming beverage trends. Host: From Wine Enthusiast magazine, this is the Wine Enthusiast Podcast. Coming up on today’s podcast, all about the future of wine. Executive Editor Susan Kostrzewa talks with a sommelier from a famous restaurant and a buyer from a major New York City wine retailer about upcoming beverage trends, including natural wine, rosé, distillers from Brooklyn, New York, and wine in boxes. Andy Wedge: That’s maybe the negative of the classic regions, is that a lot of them are still doing what we call non-conventional farming. So, a lot of these classic regions are still kind of rooted in this conventional farming where some of the other regions, like Emilia-Romagna, like Alto Piemonte, where people are really experimenting—Sicily—where people are really experimenting with how they can best be sustainable. I think that that is going to be a draw in 2019 as well, people kind of caring about what they’re drinking and putting into their bodies. Host: And …Why is 2016 such a special vintage for Bordeaux? European Editor Roger Voss takes us deep inside an exclusive 2016 Bordeaux wine tasting in London and interviews top Bordeaux region vintners and experts about how global warming and other factors will change vintage variation in the coming years. Edouard Miailhe: This is not an issue that we had to face as of today, but indeed if you look at the degrees that we’re getting during the harvest now, because of global warming, if you want to keep the freshness and the balance of the wine, I think you do it more with the Cabernet Sauvignon. At least in the Médoc, I’m not talking about any other region in Bordeaux, but in the Médoc, by increasing the level of Cabernet Sauvignon, you’re maybe guaranteeing a bit more freshness on the long term, on the wine. Host: Plus, paired-down pairings, wine myths and more, all coming up on the Wine Enthusiast Podcast. What’s ahead for wine in 2019? Executive Editor Susan Kostrzewa talks trends, first, with Liz Nicholson, buyer for New York’s renowned wine retailer Frankly Wine, and then with sommelier Andy Wedge from celebrated chef David Chang’s restaurant, Momofuku Nishi, about the future trends for wine and spirits in 2019. Susan Kostrzewa: So, Liz, in your role as buyer for Frankly Wines in Tribeca, in the city, in Manhattan. I’m sure you get a lot of really interesting customers coming in, and I would consider this as a good sort of litmus test for trends in New York City and then beyond. So, I’d love for you to talk a little bit about a few trends in wine you think you’re excited about right now, and also some of the interesting things that people, your customers, are asking you for as they come in now. Liz Nicholson: Absolutely. Coming into retail, specifically ‘cause I was coming from, at that point, a very high-end restaurant, there was a few things that really caught me off-guard as far as requests. The biggest one of them was all the requests for wines specifically in portable formats, like cans and boxes. Obviously, rosé, I’m gonna weedle down on the rosé I have, like, no, I’m not picking up new rosés right now. SK: Well, I think what’s interesting about rosé is, as a trend, is that it’s a somewhat new sort of sensation for, maybe, new or even some intermediate wine drinkers to be going doing the deep dive into rosé. And I think, as people get more into it, they recognize, “Hey, listen, it’s not necessarily just for summer. It’s great throughout the year.” But I think you’re right; maybe people aren’t quite there yet. So, I’m sure it’s been dropping off after the summer. LN: Well, it drops off after the summer—and it drops off fast. And I knew this from years in restaurants. I mean, we cranked the rosé by the glass: I would have four or five of them by the glass in my Maialino days. And then, you don’t want to be stuck on a bunch of rosé. My instinct is just that there’s still a lot of rosé still available. Because I think that people really upped their buys and upped their quantities, and new people came out with rosés. But I feel like the “rosé mania” hit its crescendo the previous summer, in 2017, and is now kind of correcting itself. You know what I mean? I think rosé also is a category that’s here to stay year-round, even. I mean, don’t get me wrong, we will probably still have 10 of them on the shelf year-round here. But I think that it kind of, like, again, it hit this peak, I think, last year. Now it’s dropped a little bit, and it’ll recover and it’ll plateau. SK: Do you think—just as you were talking, I was thinking, you know, you talk about the pendulum swinging and styles becoming really big. And I know last year, or the year before, in the U.S., that sort of high-acid white wine was super hot. Do you think people are starting to swing back in a different direction from [that]? LN: I mean, you’re saying this and I’m like, “I wanna say ‘yes’ to you!” But if there’s one grape we get asked for over and—Or, I mean…people come in. They’re like, “Something nice and crisp, like a Sauvignon Blanc.” It must be one of the most uttered phrases as within 30 seconds of walking in the door here. SK: …something people are asking for. So, you talked about canned wines. You talked about Sauvignon Blanc. Um, what about spirits? Because you carry spirits here as well, and you have a really interesting collection of great spirits. What are people asking for when they come in? What do you think are some trends? And then we’re gonna talk about 2019 in a minute. LN: Perfect. So, I would say that mezcal is definitely the item that I get asked for all the time now. Um, which is really cool and interesting. Just ‘cause I do know that a lot of the cool little mezcals that are coming into the market are really coming from actual artisan producers. It’s not like tequila, where, like, some giant massive brand happened and then flooded the market. Like, you’re we’re—getting to see, at least in New York, where these smaller little artisanal people from single villages are coming into town. Those people are actually getting shelf space. And, so, it’s really exciting to think that it’s helping to revive a community also. You know, an area of Oaxaca in Mexico, where they make mezcal. So, that is good. Um, but I think that that’s probably one of the spirits that has gotten a lot of interest. Gin is kind of back. Um, which I’m happy about. Because I personally think that there’s a far more variety of interesting and unique gins, and people are back into drinking them. Other than that, we do happen to sell a lot of local. Um, there’s a lot of cool things happening specifically in Brooklyn—all over Brooklyn, from around, you know, the Williamsburg area to… There’s Kings County Distillery, they’re in the Navy Yard; my friend Alex is over in Industry City; there’s a guy making amari out in Bed-Stuy. You know? SK: I think that’s another area, just in the bitters category and palate. SK: We’re talking about trends nearing the end of the year, and we’re looking forward to what might be coming up next. So, I would love for you to talk about, maybe naming a few trends in wine you think will really take off with—specifically in your case—with diners in 2019. And then, also, anything that you, from your perspective, think would be okay to go away. That might be big now. Andy Wedge: Yeah. As far as new trends are concerned, I think that something we’ll see a lot is maybe the resurgence of some classic regions that have kind of, you know, been forgotten about or written off as not exciting. And I think a lot of that will have to do with younger winemakers coming in and kind of revitalizing those areas. I just took a trip to Chianti Classico recently, which was really cool. And I mean, this is a region that’s been around for hundreds of years. And it’s something that is considered kind of a known quantity. I met so many young winemakers there who are really trying to do things the right way and are, I think, are really trying to bring that area back into prominence. So, those are the kind of wines that I like to feature at Nishi. SK: And I think what’s interesting about that is, you know, you can make the assumption that, oh, these have been regions…these are regions that have been around for a really long time, people already know them. But I think one of the things that’s happening is, there’s so many new wine drinkers coming onto the market, you can’t assume that they’ve experienced the classic region. AW: Yeah. And from my perspective, it’s really easy to find really obscure grape varietals in Italy. It’s really easy to find regions that nobody’s ever heard of before. But, yeah, like you mentioned, a lot of consumers don’t have a baseline for, what should Sangiovese taste like? And then, why should I branch into a Emilia-Romagna? And that’s kind of my whole goal. And in the restaurant, that’s a little bit harder. I think retail owners who get a lot more regular people can do that. SK: And how do you normally do that? When you have somebody come into the restaurant and you want to expose them. Again, one of the categories, I think one of the trends that’s been going on for a while is just, because of all the great new wines on the market, there’s so many new emerging regions, new varieties. Um, how do you cajole them into trying these new things without pushing them out of their comfort zone? Um, you know, so then we can go into, maybe, one of my better-selling wines from Emilia-Romagna that has a little bit of oak on it. It’s a darker kind of denser Sangiovese, and we can go that direction. Ultimately, that’s my goal. Ideally, I would like to be able to do that all in one night, like kind of introduce people, like: “All right. Here’s a little thing to try, and then get this and this and this.” And, you know, the next thing you know, we’re drinking wines from Liguria and Valle d’Aosta. You know? That’s pretty cool. SK: So, you talked about Chianti Classico is a trend that, you know, either you see people are interested in or you feel they should be doing more. Are there any other regions that you feel, either right now or in the next year, are going to kind of blow up, a little bit, that maybe people don’t know about yet? AW: Well, you know I did mention Emilia-Romagna a couple times. I do think that there are a lot of really accessible Sangioveses at really nice price points from that area. Um, I also think there’s some younger people who are really in touch with their vineyards and know how to take care of the earth. That’s maybe the negative of the classic regions is that a lot of them are still doing what we call, “non-conventional farming.” (Which I think is hilarious.) So a lot of these classic regions are still kind of rooted in this conventional farming where some of the other regions, like Emilia Romagna, like Alto Piemonte, where people are really experimenting. Sicily, where people are really experimenting with how they can best be sustainable. And I think that is going to be a draw in 2019 as well. People kind of caring about what their drinking and putting into their bodies. SK: Yeah definitely understanding the origin. Really understanding the origin of the wines, understanding the process in which the wines are made. And I think what’s interesting on that count is sometimes, you know, people forget that wine is a food. And, you know, they may have a lot of interest in, you know, organic farming of meats or produce, it makes sense now that they would extend that to the wine they’re putting in their bodies. So I think that’s interesting. Do you think from a palate perspective, what are some of the trends you’re seeing with the diners that are coming in? Is there a style of wine right now that is big? And do you think next year there’s gonna be a change in the types of styles of wine that people like? AW: I do think that because of some of these new wines coming on the market and because of the affordability factor, and some ways trying to put interesting wines at good price points on the list, I think we’re gonna start seeing more bottles of wine of the tables in 2019. Which is really exciting. Even if I’m only selling a $45 bottle of wine, I really want to have cool stuff and have people be excited about that. As far as palates changing and all that, in the bubble of New York, light red wines are finally starting to happen. Which is really cool, because I know that in the omme community we’ve been pumping Gamay for years at this point, right? And, now I’m starting to have people sit down, like, regular kind of consumers, we love Gamay, we love Beaujolais; what else can we try? And, so, that’s been a really fun part of my job is finding Italian wines that are lighter and fresh. And to be honest, those go with our food best anyways. Um, with kind of the still little bit of an Asian influence that does exist on the menu. Pinot Noir from different regions of Italy. Rossese di Dolceacqua is something that we’re featuring heavily right now. Probably does have a little more tannins than a lot of modern Beaujolais, but those wines to me taste… some of the wines we’re carrying taste a lot like classic Beaujolais from the early 2000s. AW: So I think that, like, the lighter red wine that’s fresh, fruity, juicy, fairly high acid. These wines are really starting to gain popularity. SK: What we often see is the trends start in New York, and then they kind of spread out into the rest of the U.S. in some cases. So I think you probably will be seeing that. The other trend that I think has been happening that kind of speaks to just food friendliness is sparkling wine. AW: In the sommelier world we’ve been talking about how versatile sparkling wine is with food for a very long time. And now we’re actually starting to see some more affordable versions obviously Champagne is not at a friendly price point for a lot of consumers on a nightly basis. And you know this rise of the Pet Nat thing is pretty cool too, and when those are well made they can be really compelling wines. SK: So let’s talk about natural wines. Natural wines are definitely a trend right now, they seem to be here to stay for some period of time. Obviously a trend that started in the trade community and then has gone into the consumer realm. So, can you talk a little bit about, you know, how you feel about whether that’s gonna continue to grow? Whether it’s something that should continue to grow? AW: From an environmental impact I hope it is something that continues to grow because, you know, it is important that we start taking care of the earth, and, you know, in farming I think that’s a really important thing. Um, the term “natural wine” is not something that I’m a big fan of. It really had no definition. We have to work together to maybe work on what that definition is. And I think we do run—as much as I do think a lot of the wines are very compelling and interesting—you know we run the risk of maybe introducing people to some of these wines that are a little bit more aggressive too early on in the life of their palate. But, overall, I think that if what we’re doing is better for the earth, then I hope it continues. At the same time, I also hope that we can keep finding delicious natural wines that are easy to introduce people and ease them into the idea of. You know, sometimes some funk is a good thing. Um, and to some people, a lot of funk is a good thing. And I hope that the trend continues in the right direction. SK: Right. So it sounds like your approach, you know, when it comes to trends, is you wanna keep a balance. You wanna expose your clientele to the classics, but also you are experimental and you expose diners to new varieties and regions. And why do you think it’s important, or why do you feel it’s a good thing for your clients to experience some of these new regions? And why might this be a good time to be doing that? AW: Well I think in general people that come to a Momofuku restaurant are more willing to expand their horizons. So, in a lot of ways, with the wine, I’m trying to just keep up with the chef. I mean, we’re putting a lot of crazy food on the menu, and, you know, I wanna kinda keep pace with that. Not necessarily outdo them and find things that are really weird and esoteric for the sake of it, but much like our food menu, I think they’re using interesting techniques, interesting ingredients and flavor combinations that people aren’t used to. And if people are eating food that’s pushing the boundaries, why not drink wine that’s pushing the boundaries as well? There’s only so many of the classics to go around at this point. So, branching out to find, for people who are price-conscious, branching out to find more interesting options is a really good idea. I don’t think I could put enough $75 bottles on the list of interesting wines, and they’ll always sell. People will listen to me at that price point. And hopefully they’ll come back, and I can start talking them into trying something a little bit higher end from the same kind of regions and with the same ideas. SK: From a trends standpoint, overall beyond what you’re doing at Momofuku, what do you think will take off in 2019 in your opinion? AW: Yeah, well once again I think the light red category fits really well. When people come in, a lot of times, we still run into the types of diners who want red wine regardless of what they’re eating. And with the rise of these lighter reds, it really gives us a lot more options. And, you know, I’m always looking for wines that have that kind of umami, salty kind of thing. And for me, even sometimes with a slightly bigger red, I can find things that will go with some of our seafood dishes. Obviously there are a lot of robust flavors there as well, in the food, but that’s good. I really would like—and America’s in such a weird place right now with sugar. It’s such a polarizing thing, and so many people just hate any wine with sugar in it at all. But those wines have real potential for pairing options. And, I would like for Americans to embrace those options when placed in front of them. And I guess that’s kind of been the fight that I’ve been fighting my whole career is, like okay maybe this wine is not your favorite thing—but wait until the food comes, because I’m pairing it with that for a very specific reason. So with the rise of the sommelier industry, I think people are starting to trust sommeliers more and more as, you know, maybe they have a friend who got into the industry and they think, like, oh well my friend is doing this, so you must know what you’re talking about. And, overall that’s a really good thing. Hopefully we can continue to have people trust us. And, like I said, I would like for some type of sugar in wines to be a little bit more acceptable. SK: And so, give me an example of some of the wines in that style that you are excited about right now from a food pairing perspective? Just general categories. AW: Yeah. Um, so reds that I mentioned that are a little bit better with seafood—I mentioned Rossese di Dolceacqua earlier. I think those wines just have that cool Mediterranean vibe. As far as the sugar thing is concerned, I’ve got this crazy Petite Arvine from Valle d’Aosta right now. It’s got just this little kiss of sugar to it, and it makes the wine super compelling and really interesting. I mean it’s still, at it’s core, it is a mineral-driven, high acid white wine. But there’s just this little bit of residual sugar to it that makes it, because it has the body, because it has the acid, I can pair it with a lot of different things and people are really accepting of it, at this point. I don’t mention the sugar up front of course. But, uh, yeah. I also think with cider, really, we’ve all been waiting for cider to happen for so long. Maybe 2019 is the year, but I think food pairing is a way that we can start to maybe aid that along. So we’ve done a couple collaborations with Shacksbury up in Vermont. And we sort of, pretty traditional pork chop dish in the restaurant. And just the cider with pork, it’s just like, it’s so awesome. And it’s something that’s obviously been a really classic pairing, but I think maybe we can start to revisit that and bring those types of things back. Host: And next, Senior Editor Layla Schlack has tips for integrating simple foods and flavors into your wine lifestyle. Layla Schlack: If I’m being honest, I’ve always been a bit of a teacher’s pet. So for today’s paired-down pairing, I’m going to give you all bright shiny apples. The country’s second-most consumed fruit after bananas hold a special place in our culture. They’re a symbol of Americana, everywhere from apple pie to the Big Apple. In the kitchen, there’s no end to their versatility. Here’s a fun fact for you: Apples originated in Kazakhstan. The only variety native to North America is the crab apple. Today, China produces almost 10 times as many apples as the U.S. And the largest apple every picked? That was in Japan, weighing in at four pounds, one ounce. But there are some great American wines to drink with apple-centric dishes. We talked to Dan McCaffrey, who’s the wine director at The Marc in Walla Walla, Washington, which happens to be the leading apple-growing state in the country. He suggests a Washington wine, L’Ecole No. 41 Chardonnay, for fresh apples in savory situations like salads. He’d reach for a Pinot Noir from Oregon or Burgundy for sliced apples with a cheese platter. And for apple pie? McCaffrey recommends a botrytized Riesling or Gewürztraminer to match the sweetness. So there you have it, that’s how to pair apples. Thanks for listening. Host: Blue Apron Wine. Order from any other wine club and when you get the bottles they’ll all be labels you never heard of. Blue Apron Wine, however, works only with world-class winemakers and brings you the story behind every bottle: who made it, where it was made, and why it tastes so good. $25 off your first shipment at blueapron.com/corkscrew. Terms and conditions apply, all orders are handled by Blue Apron Wine, Napa, California. And you’re listening to the Wine Enthusiast Podcast. Prepare to take notes as European Editor Roger Voss, who reviews wines from Portugal and France, takes us on an audio journey to a special Bordeaux tasting in London, England, where he interviews the world’s foremost Bordeaux winemakers, wine consultants and experts to gain a unique perspective on what’s so very special about the 2016 Bordeaux vintage, and what the future trends of vintage variation will be. Roger Voss: I’m here in London at a tasting of 2016 red Bordeaux. It’s organized by the Union des Grands Crus, which is like an elite club of major châteaux in Médoc and St. Emilion, in Pessac Léognan, in Sauternes and Pomerol. This is the first time that the top Bordeaux châteaux have shown the vintage since it was bottled, and so it’s my first chance to see the wine since I tasted them from barrel in April 2017. Since so many château owners and directors are here at the tasting, it’s a good opportunity to ask them about the vintage and to get their views on what’s going on in Bordeaux. There’s no doubt the 2016 is a fine vintage, but how fine? Let’s find out. Lilian Barton-Sartorius: Yes, my name is Lilian Barton-Sartorius from Langoa Barton, Léoville Barton and Mauvesin Barton. RV: And the appellations of these three châteaux? LB: So Langoa and Léoville is St. Julien, and Mauvesin is Moulis. RV: Lilian, tell me about the 2016 vintage. What do you think about how you’re tasting it today? LB: I find that they’re showing everything that they promised. Very well-balanced wines, quite a bit of power to them, and yet not at all aggressive. And drinking quite well today, not just tasting. Edouard Miailhe: My name is Edouard Miailhe, and I’m the owner of Château Siran in the Margaux appellation. Château Siran is the oldest family-owned vineyard in the Margaux appellation. I’m the sixth generation, and I started 10 years ago, to take over from my parents. Historically, Siran, for the last twenty years, always had a majority of Merlot in the final blend. The Merlot is extremely charming, gives wonderful fruit, and gives a great approach to the wine. But if you want to maybe increase a bit of deepness, concentration and elegance, we thought that putting a more balanced level between Merlot and Cabernet Sauvignon would be better for the wines in the future. RV: Do you think it’s also because Merlot’s getting too ripe? EM: This is not an issue that we had to face as of today, but indeed if you look at the degrees that we’re getting during the harvest now, because of global warming, if you want to keep the freshness and the balance of the wine, I think you do it more with the Cabernet Sauvignon. At least in the Médoc, I’m not talking about any other region in Bordeaux, but in the Médoc, by increasing the level of Cabernet Sauvignon, you’re maybe guaranteeing a bit more freshness on the long term, on the wine. RV: And is this what you’ve been finding in the 2016? Have you been tasting it? EM: This is what we’re trying to have. 2016 is very young, it’s a young baby, huh? We just bottled it four months ago. But this is really the trend where we want to go and the target that we’re trying to achieve. Keep the freshness, keep the elegance, we don’t want heavy wines. We want light wines, easy to drink, and that gives pleasure to our customers. Bordeaux makes wines that can age 50 years, we know that more and more our wines are drunk between five and ten years compared to maybe ten and twenty years a couple of years ago. We’re doing wine, which are in the presentation now, that they are much easier to drink compared to what we were doing in the nineties, for example. Dany Rolland: I am Dany Rolland, vinologist from Pomerol, and we have a lab in Pomerol and we are consultant for a lot of winery in Bordeaux and all around the world. But in the occasion, we are speaking more about Bordeaux and about the vintage 2016. I have only one word, or two words, I think, regarding 2015 with a Mediterranean vintage. 2016 is, we said in France, “océanique” vintage. In means that it’s more fresh, with more the influence of ocean, and with more typically Bordeaux style, with a lot of tannins, with big support, with acidity, with long structure, and much more difficult to drink young or to approach now. The 2015 was more Mediterranean style, very approachable, very round. And the two wines can age in the same way, but the two wines keep the style of the year and of the grapes of the year, and the weather of year, because the weather will impact in the vintage. RV: Do you compare ‘15 and ‘16 with ‘09 and ‘10? DR: Yes, it’s a good comparison because ‘09 was also more New World, very open and very hedonist vintage. And ‘10, more strong and more Bordeaux style. Bordeaux historic, Bordeaux style. Because now we have in Bordeaux a climate a little more hot, with big summer, big Indian summer. When the cycle is good, we can have also the acidity to maintain the back of the wine, and to give the balance. Because when you have alcohol, when you have tannins, if you have not some acidity, not too high, if the acidity is too high with tannins, when the wine age, it can be thick. RV: Do you think, with climate change and the hotter summers you just talked about, there’s a problem with Merlot? DR: I think no. Because if the climate change is one or two degrees, I think plants are very powerful and very strong, and plants is like human people: adaptable to the climate. And for Merlot, yes, it can be hot but not really. We have some two or three days hot, and after we have long time with hot temperature, but not temperature like in California or like in South America, where Merlot is difficult because there is not the good soil, there is not the good climate. But in Pomerol, and the vineyard, I think plants are strong. Like us, we can be able to support one or two degrees more. Anne-Françoise Quié: Hello my name is Anne. Anne Françoise we say in France. I’m the daughter of Jean-Michel Quié, the owner of Château Rauzan-Gassies, 2nd classified growth in Margaux, and Château Croizet-Bages, 5th class growth in Pauillac. This is really an incredible one. Just after the 2015, we’re not expecting, at that period, to be so lucky, to have that incredible condition of growth and ripeness of the fruit. We learned a lot with the great vintages we have during the last ten years, and maybe the ‘16 is the accomplishment of all of the knowledge we had the last ten years. Because we are able to propose you lots of fruits, lots of tannin, but also from a wine, very round, with something creamy in the mouth, and a kind of fatness. RV: So you think that, the lessons you’ve learned in the past have come into this vintage? RV: What are phenolics, explain to me. AQ: Sorry, the phenolics could be resumed as perfume, tannin and color. And for red wines, it is always in the skins of the grapes. And maybe ten years ago, our expectations were in the density of the wine, the deepness and the quantities of phenolics. And now we’re able, also, to propose you wines with the quantity but also the elegance. And in wines, it’s always a question of balance. And it’s very easy to have a dark tea or dark coffee, but to have a rich one, and perfumed and complex, is another question. RV: You make wine in Margaux and in Pauillac. RV: Which do you think were the most happy appellations in 2016? AQ: What is interesting also in the ‘16 is that you have the big characteristic of the appellation, so in the ‘16 of Rauzan-Gassies, in the Margaux, you have really an incredible elegance of the fruit. And in Pauillac, you have an expression of the terroir. There is something hotter in the terroir of Pauillac. And maybe, to my opinion, less on the black currant but more on the aromas of tobacco and cedar, something very with a lot of spices. So it depends on the taste you prefer. There is not only one answer to that question. RV: Of course. How much do you think climate change is making a difference to the wines you’re making today? AQ: It’s difficult to express it. That’s true and sure, we are in a decade of warm weather. But I have old people in my vineyard able to remind me that in 1956, all was frozen, and all the vineyard was destroyed, and it was very cold. It was -25 degrees. So at that period, people just said that it was a cold winter, really. Now, of course it’s not the case, that’s true that the condition of ripeness of the fruit, evaluating, what I’m not able to answer if it is directly linked to the change of climate, or maybe next decade it will change. We’re going to see. But what is interesting, that we still have very cold nights in September and October. That’s important for wines because of course we have very high temperature in September, but those cold nights bring us the elegance of the wine, this is what we’re looking for. RV: Thank you very much. Alexander Peartree: Hey guys, I’m Alexander Peartree, tasting director at Wine Enthusiast magazine. Today, I’m going to debunk a common wine myth. Big, tannic wines just need more time to age in order to be enjoyed. This is one of those myths that contains a smidgen of truth. Yes, over time, tannins drop out of the solution and settle at the bottom of the bottle, hence the need to decant wines. But, any wine that is unbalanced when young is likely to remain so when aged. If a wine is too tannic, too acidic, or too alcoholic when young, it is not likely to have a long life ahead. Host: That’s it for today’s Wine Enthusiast Podcast. To read more about wine, visit winemag.com. Pick up the current issue of Wine Enthusiast magazine to see our annual Enthusiast 100 list, representing the top wines reviewed this year. You can subscribe to the Wine Enthusiast Podcast on Apple Podcast, Stitcher, or wherever you get your podcasts. And please, write us a review, we love to hear what you think. We’d also love to stay in touch. Use the hashtag #wineenthusiastmagazine and follow us on Facebook and Twitter. You can also send us an email at podcast@winemag.com. The Wine Enthusiast Podcast is produced by Marina Vataj and Mike Sargent. See you next time.